Photo: SAF. All imagery featured on this site is the sole copyright of the photographer and is used by permission. 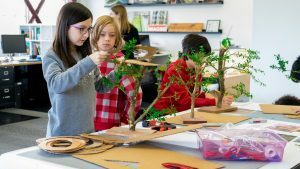 Designed for youth ages 10-16, these workshops take a step up, with students tackling social, environmental, and engineering challenges. 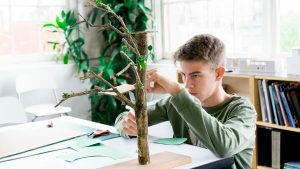 With more time to work and an emphasis on conceptual issues and concepts, these workshops are perfect for older students. 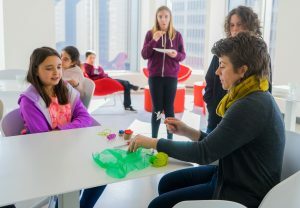 Hosted at local architectural offices and supported by SAF staff and volunteer architects, participants learn as they plan, build, and present solutions to imaginative and thought-provoking Design challenges. We offer need-based scholarships for all SAF Youth Programs. For details about scholarships email Program Director Kim Owens at kim@seattlearchitecture.org or call 206-667-9184. 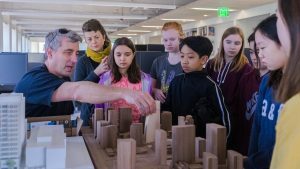 Solar panels and rainwater harvesting are great, sure, but they are just the beginning of what architects today are doing to create greener buildings. 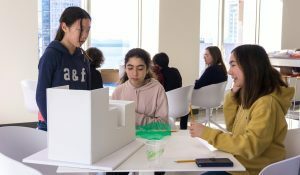 Students will learn about how designers are taking inspiration from nature in creating self-sustaining buildings, passive heating and cooling, and other examples of biomimetic architecture. 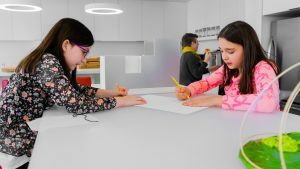 Architects don’t just design buildings for Earth! 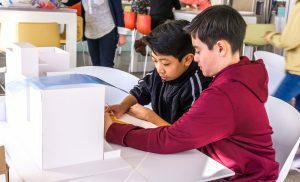 Learn about current efforts to design both short and long term shelters for other planets, and design your own structure for Mars, the Moon, Venus, or heavenly bodies even more far flung in this otherworldly workshop.